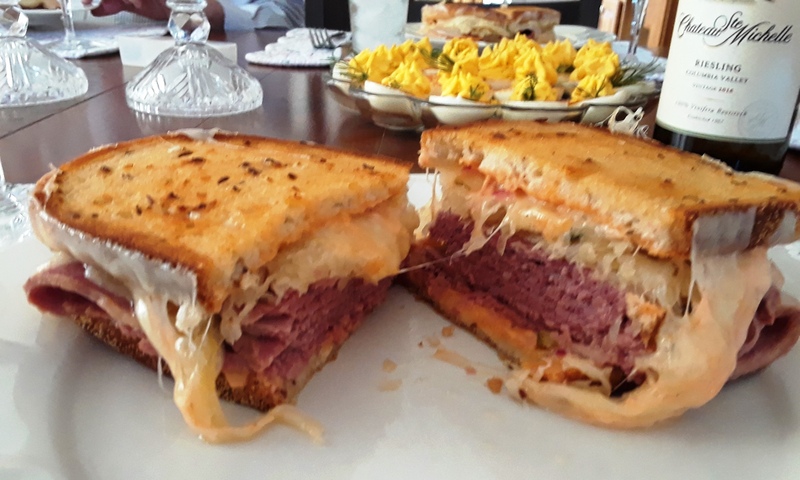 I love a good Reuben sandwich! Thanks, Heather! Oh, Mark… these two-handers were incredible! You really must try them. Did you ever watch that old movie, “When Harry Met Sally”? Do you remember the restaurant scene? That was Katz’s Delicatessen, a restaurant in NYC. The wife and I went there and sat at the same table. They make a sandwich every bit as big as the one you pictured. It was amazing! I even bought the t-shirt. Yes, I would love to hold one in my hands! Thank you for the compliment, Mark!